Atomos is a manufacturer of high-quality video related recording devices. With offices all across the globe, Atomos has a clear vision — to revolutionize digital video production by combining smart workflows with simple operation to deliver cost-effective recording and conversion solutions for today’s video and film professionals. 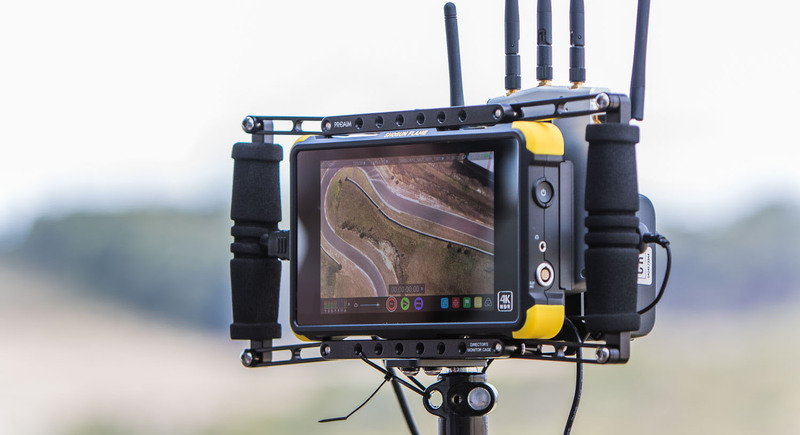 Atomos had four product designs to deliver over the year-end holiday period, each with aggressive deadlines. After source code updates, all four designs had to be optimized simultaneously until performance and functionality requirements were met. Given the extremely limited time before shipping, both the designers and implementation flows had to work round the clock to close timing. Real-Time processing of high resolution, bandwidth-intensive audio and video data poses daunting R&D challenges, which can adversely impact the overall product development time and delay product Time-To-Market. Existing approaches involve debugging source code, re-examining and tweaking the design constraints – potentially wasting tremendous amounts of time in doing so as there is no defacto tool or (semi-) automated process to optimize designs; at least not until the InTime tool was developed. Atomos’ server resources were also hard-pressed to explore compilation parameters for all four designs simultaneously. Atomos deploys InTime software in their timing closure flow. Run all designs at the same time to train InTime on optimization possibilities. The engineers start the InTime tool and let it run by itself. The tool analyses design and uses different synthesis and/or place-and-route options to close timing. Once the tool discovers a promising optimization, compute resources are automatically redirected to focus on it and close timing more quickly. No changes to source code are required. Rely on automatic calibration synthesis and place-and-route parameters based on rigorous tests. Engineers keep their focus on fixing design bugs or further enhancing the product, rather than spending time to explore the FPGA tools in detail. InTime finds multiple solutions for design closure. Especially when schedules were tight, Atomos engineers did not have the luxury of learning and integrating a new tool into their existing FPGA design flow. InTime requires less than five steps to open a design and start an optimization cycle. Its Machine Learning algorithms adjust synthesis and place-and-route parameters to guide the design towards better performance. InTime has been proven to out-perform other similar exploration tools by 80% in terms of quality of results. And because InTime grows its optimization database with every successive project it runs, the company’s Return on Investment increases over time in the long run. Interested in InTime software? Read more about it or directly take a free evaluation.